The chip implanted in their bodies will help them unlock doors and operate printers. How would you feel about having a microchip implanted in your hand to make things more convenient at work? In Sweden, some workers are actually volunteering to do just that, electing to have a chip the size of a grain of rice implanted in their bodies to help them unlock doors, operate printers, open storage lockers and even buy smoothies with the wave of their hand, according to an Associated Press report. Epicenter, a digital hub in Stockholm that houses more than 300 startups and innovation labs for larger companies, has made the implanted chip available to its own workers and to member organizations in recent years, a biohacking experiment in simplicity that's been embraced by some early adopters associated with the center but represents a technological frontier sure to make other people shudder. But while it may sound like the dawning of an era of a cyborg workforce, management consultants say they're hearing little interest in the concept so far, and those leading the experiment in Sweden say it's an entirely voluntary exercise intended simply as a technological test for convenience. "It's very early to try to depict where this is going," said Patrick Mesterton, co-founder and CEO of Epicenter, in an interview with The Washington Post. "We're just doing this because it's interesting. We want to play around with technology." The promise behind the implant being offered at Epicenter is efficiency. People who get "chipped" -- the same technology used to track pets or deliveries -- can replace things like key cards, employee badges and credit cards for certain functions at the facility with technology that can't be lost or left behind. Every once in a while, Epicenter, with the help of its "chief disruption officer," who is one of the founders of BioNyfiken, the Swedish Association of Biohackers, organizes a "chip and beer" or "chip and wine" event after work. They bring in an outside firm to offer the procedure, which costs about $150, is voluntary and involves plenty of paperwork, Mesterton said. "Then they can ask us if they want to activate the chip on the services in the building." The technology also does not allow for any kind of monitoring, he said. It "doesn't even carry that ability. It's exactly the same as if you would use a single key card," he said. Known as a "passive chip," it has no built-in power supply and can't send signals about its position. "If a person is worried about being traced, your mobile phone or Internet search history poses a bigger threat than the RFID chip we use ever would do," Mesterton said in an email. Ethical or privacy issues, however, could become a concern if the chips do more in the future and organizations embrace that technology. As Ben Libberton, a microbiologist at Stockholm's Karolinska Institute, told the Associated Press, "conceptually you could get data about your health, you could get data about your whereabouts, how often you're working, how long you're working, if you're taking toilet breaks and things like that." That's one reason management consultants say such chips are unlikely to show up in American workplaces anytime soon. Michael Chui, a partner with the McKinsey Global Institute who leads its research on the impact of long-term technology trends, says that while there is "a broad awareness for the technical ability for this to happen," right now there is "zero interest in actually doing it." For one, the business case isn't very high, with "smart badges" and biometric scanners able to do much of the same work. Then, he says, "there is a general creep factor about it." Josh Bersin, who leads a unit at Deloitte that does human resources research, says that while wearable devices have become more common, particularly among manufacturing employees or drivers, big employers are still wary of such technology. "For lots of big companies, just the idea of a smart badge is scary enough," he said. Suggesting that employees put something inside their bodies -- "that's a big leap. I can leave my smart badge or my phone at home." He hasn't had any clients suggest it. More likely, he said, is that companies will make more use out of sensor technology that can be embedded inside workers' badges. Such devices can track location data, listen in on the emotion of employees' voices and suggest, say, the most effective places for retail clerks to stand in the store to improve sales. One company, Bersin said, used such high-tech badges to find that employees with a positive attitude also tended to have more physical mobility during the day, a finding they used to redesign work practices, shorten meetings and even move others outside. Others think it's possible the technology could be tried in the United States within a few years, at least as the next iteration of biometric scanners that log people in and out of work sites. C.R. 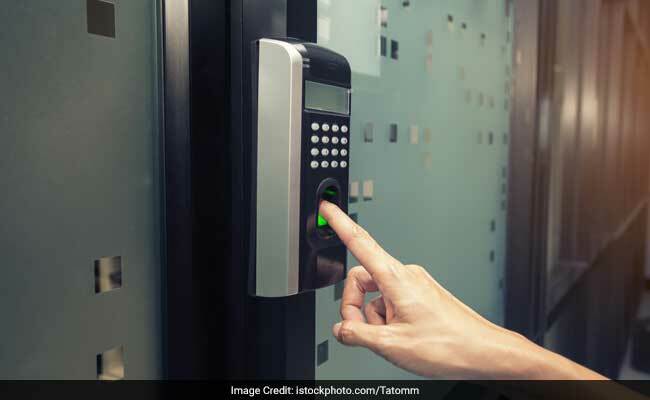 Wright, a partner with the employment law firm Fisher & Phillips in Atlanta, said technology like fingerprint or hand scans have become more popular as a way to avoid forgotten badges, prevent workers from "buddy punching" the clock, and secure particularly sensitive or secretive facilities. "We already have biometric tags and packaging, it's jumping to the human application," he said. Though any kind of embedded microchip is likely to bring pushback from workers, "within the next five years I would think it will be tried here."